Library Services are very excited to announce that our new Library system will go live on Thursday 30th June 2016. Alma is a next-generation Library Management Solution which means that behind-the-scenes workflows such as ordering and processing our physical stock and activating our online content is far more unified and streamlined. This is good news for us but even better news for our staff and students as it allows for a better level of service. Primo is a Resource Discovery System similar to Summon and will replace both it and the Library Catalogue. We’ve branded our version of Primo as LibrarySearch – and it does exactly that: search all of our print books and journals, games and DVDs, eBooks and online journal articles, conference proceedings, databases* and much more from a single, simple interface! *There are a few of specialist databases which we recommend searching separately. What you are and are not searching is clearly marked on the LibrarySearch home page. LibrarySearch is very similar to Summon with its simple keyword search and refining via facets and filters. However, it also provides added features and functionality to make the user experience even easier. 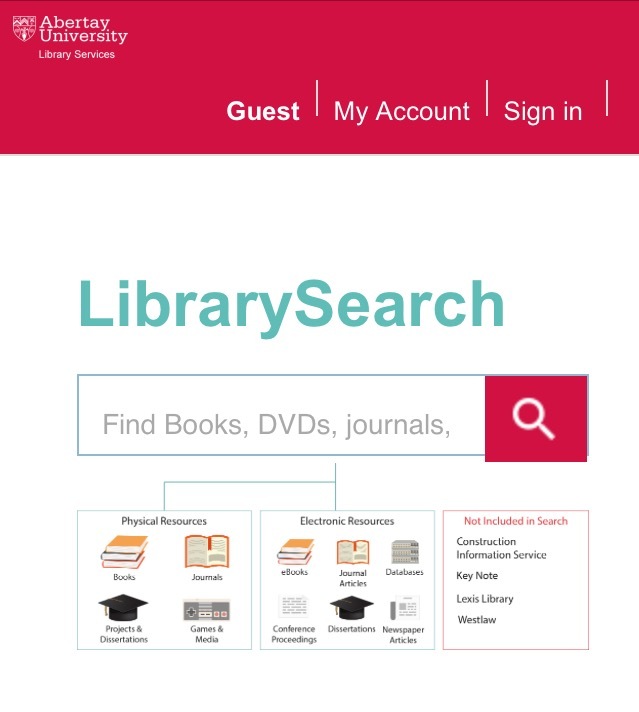 LibrarySearch is intuitive to use, is fully mobile-optimised so can be viewed on any device, and provides enriched discovery with features such as recommendations and citation trails. No need to worry about learning how to use another search tool – if you can use Google, you can use LibrarySearch. You can have a sneak peek of LibrarySearch here – try some searches and see what you think of the user interface. Here’s a very quick overview of some of the key changes you’ll see as a result of the new system from a user perspective. Auto-renewals – If there are no requests on items you’ve borrowed, the system will automatically renew these for you as if by magic! Normal loans (28 days) and weekly loans can auto-renew twice and Overnight loans can auto-renew once. Overnight loans – Short Loans have been re-vamped as Overnight Loans. These high-demand items can be booked in advance, can be auto-renewed once (providing there are no other bookings) and have a reduced fine rate of 50p per hour. Increased borrowing – Postgraduate students and researchers can now borrow up to 20 items. We’ve tried to have as little disruption as possible to all Library services during the various phases of the project. As we ‘re now very much on the last leg and are switching things over, there will be some interruptions. Self-service facilities (book issues, returns, online renewals, holds and recalls or fine payments) are unavailable between Monday 27th June and Thursday 30th June. Books and other materials can still be taken out on loan, but will need to be issued manually from the SEZ desk on Level 1. We will also be unable to process any new library memberships or any SCONUL Access/Dundee University library authorisations during this period. Apologies for this disruption but this slight blip is unavoidable at this point in the switch over. As mentioned, LibrarySearch is very similar to Summon and is nice and easy to use. However, we will still be proving help and support as well as guidance on the various features and functionality – the Library intranet pages and YouTube channel will be updated over the coming weeks to include shiny new videos, FAQs, user guides etc. We’ll also be communicating with you regularly via our social media channels giving updates and top tips. If you’re not already following us, please do! Here’s our Twitter and our Facebook links for you. We’re really looking forward to talking to you all and showing you LibrarySearch in action during our classes, workshops and drop-ins! High five from all of us in Library Services. 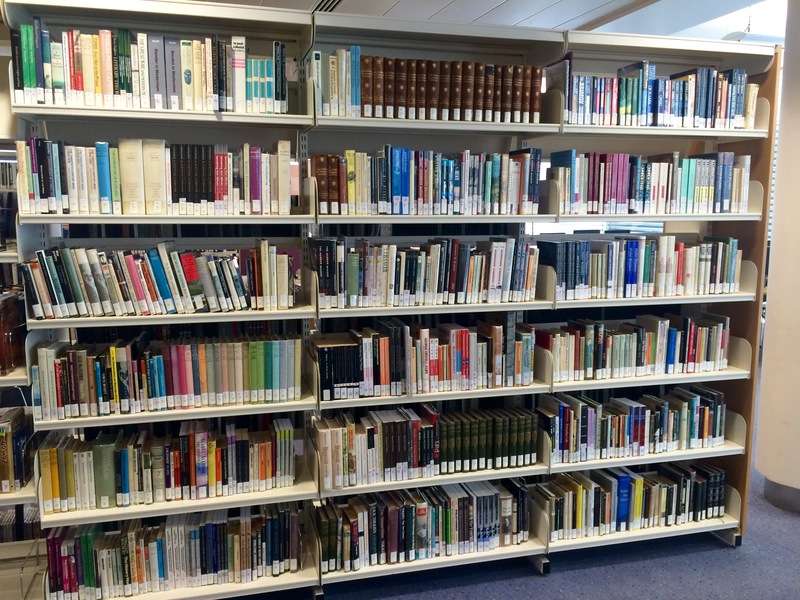 Literature Collection now on Level 2 of the Library! We’re busy making room on Level 3 for all the new books the Librarians have been buying for you so have moved our Literature collection down to Level 2. You’ll find the Literature collection on the same shelves as our Audio Visual collection which is right beside Student Services. We’ve got just over 700 titles covering the classics and some more modern literature and they can be identified by ‘LIT’ on their spine labels. So, if you fancy catching up on some reading for pleasure/leisure before the serious studying starts, get yourself along to Level 2 of the Library. And let us know which are your faves! 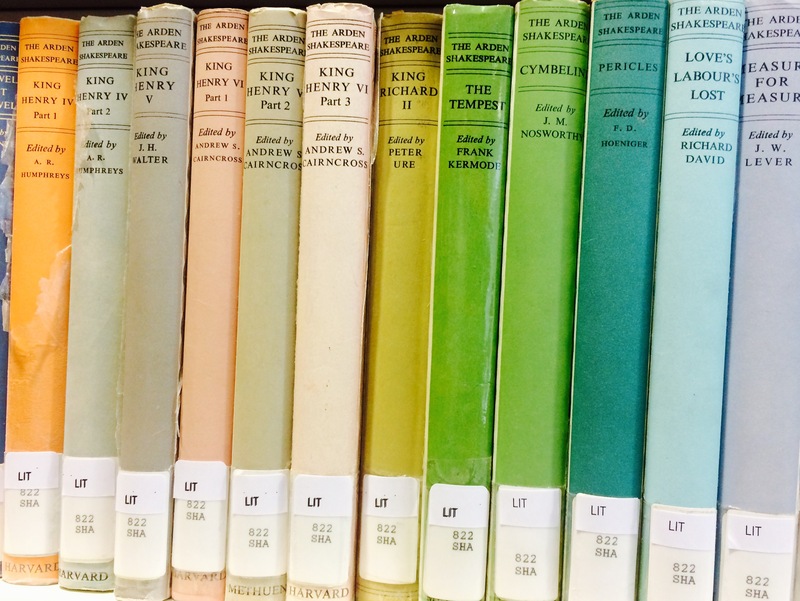 Some vintage Shakespeare – love the colours!